The options for the future regulation and service delivery of the Three Waters (drinking, storm and waste waters) are designed to ensure that an incident such as the Havelock North event two years ago is not repeated. The question is whether or not the planned changes will help ensure that the sharing of best practice will become more efficient and accessible to all industry players. It is more important now than ever before to make sure that accurate, technical water management information is accessible for both Local Government and other management bodies. The widespread outbreak of gastroenteritis in Havelock North in August 2016, and the subsequent illness of more than 5000 people due to the presence of campylobacter in the water supply was a clarion call that New Zealand’s drinking water management must come into line with practices that are commonly found overseas. Across Europe, Northern America and Australia, the regulation of drinking water quality and the economic regulation of these utilities, is far more advanced and bespoke than the current framework in New Zealand. This is because, historically, these areas have not been fortunate enough to have such a clean source of water as New Zealand. But that was before agricultural and industrial pressures on New Zealand’s resources increased not to mention the impact of climate change. We no longer have such guaranteed safe sources of water. The New Zealand water industry needs to adopt the learnings from the rest of the world and leap-frog the processes these other countries went through. This will ensure that we are getting not just safe water, but the best quality water. 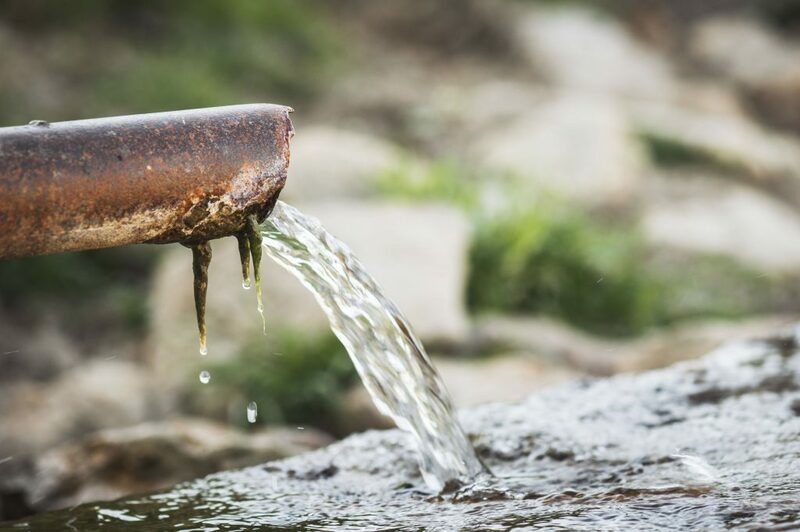 We need to examine as an imperative if this new Cabinet Paper will help the industry move towards risk- based, source-to-tap management of our drinking water supplies. The paper outlines the roadmap for the government’s changes for the industry. The first and most significant step is to detail policy decisions for the regulation of all Three Waters and confirm the regulatory institutions that will implement these standards in June 2019. In late 2019, Cabinet will consider policy proposals for service delivery arrangements (including aggregated water suppliers and funding options) and economic regulation. The paper does look like the government is tackling the hard issues despite the anticipated challenges in actually changing the sector. This should be recognised and applauded as a good start to initiate the change that is needed. The commitment to provide Cabinet with detailed policy proposals for the regulation of the Three Waters in June this year is encouraging, to enable legislation to be drafted. Drafting effective legislation is not easy and takes time. The sooner drafting commences, the sooner New Zealanders can be assured they are receiving safe drinking water and are minimising environmental impacts from wastewater. It is logical and efficient to look at the Three Waters together because they are interconnected – stormwater and wastewater are the biggest contamination sources for drinking water after all. Additionally, the paper considers economic regulation and overall stewardship — which is a really positive foundation for change. The regulation of water quality, alongside consumer protection should never be undertaken in isolation so it is encouraging that there is recognition as part of this wider context. Setting water quality and environmental regulations before considering economic regulation, service delivery arrangements or funding mechanisms risks creating unrealistic or insufficient standards. Either the government sets a high and expensive standard, or because they wish to keep costs low, they may specify a standard which is too low. In jurisdictions with robust economic regulation, the balance between costs and quality is kept closer to equilibrium due to the tensioning process of balancing quality with the willingness to pay. The advantage of the economic regulation is the industry is motivated to find efficiencies through innovation — higher standards are sometimes possible without higher cost. It is good that the uncertainty around regulation will be cleared up by the middle of 2019. However, the long timeframe for service delivery arrangements leaves the industry in limbo for another year before our water suppliers will know who will own and run the assets in the future. This will inevitably impact on Local Councils’ decisions to invest in infrastructure in 2019, because it will be harder to convince both ratepayers and councillors to pay for infrastructure with an uncertain long-term ownership. If this reluctance eventuates, it will be even longer before many rural New Zealanders get safe water all year round. Another impact of the uncertainty around service delivery arrangement is that workers within the industry do not know where their role will sit in the 2020’s – will the Council still be their employer, or will it be a large amalgamated water supplier? There’s a huge skills shortage in the industry, so it is unlikely there will be a large reduction in the number of employees across the whole industry, but it will be tumultuous change for employees nevertheless. Having to wait a whole year longer (making it three years after the Havelock North incident) may well cause some discontent. But the largest challenge of all is helping the wider community understand how their drinking water is changing. This is not a technical challenge – there is plenty of science to show the increasing demands on the water cycle are impacting the quality and quantity available for drinking. It is a cultural change challenge. Water should be free and we can’t charge people for what they use. Both of these arguments are based on the core identity of how New Zealanders see themselves. The government and the wider industry will continue to meet resistance to changes unless they also address how New Zealanders identify in this way. Changing the regulation is an important part of the solution, but so is addressing our assumptions that our water is still clean and free. Looking at other countries with highly-controlled management of water supplies, it is important to recognise that their regulation is not a tick-box approach. Demonstrating the quality of water by only monitoring for pathogen-surrogates on a semi-regular basis, is not standard practice. Instead, the regulation is based on minimising the risks of contamination through multiple barriers with robust business systems ensuring preventive risk management is practised at every level of the organisation. In this case, the demonstration of water quality through ‘compliance monitoring’ is one final check, demonstrating what the supplier and the regulator already knew from all the other checks – that the water supplied was or wasn’t safe. In anticipation of the changes ahead, the best way for professionals to future-proof their careers is to stay up-to-date not only with the domestic industry, but also with international practices. This is because it is highly likely that any new regulations will be modified from existing requirements and practices overseas. The Havelock North Inquiry identified the ‘Six Principles of Drinking Water Practice’ that are commonly used overseas, as the best way to approach supplying water. Industry professionals should be up to date on what these principles look like in practice. One of the best ways to do this is through online training, whereby asset managers and operators can access the latest resources and information without taking significant time away from the task in hand. Now, more than ever before it is essential that accurate, technical water management information is readily available for all in the industry. It is now a necessary solution to ensure that change within the water management industry is sustainable and that we are up to speed with the lessons learned by other countries to obtain consistently safe water. Carly Price has worked in the water industry for 18 years (including eight years as a regulator) across Australia, New Zealand and Tanzania. She has worked for large consulting firms and government agencies in many roles from Planning Engineer, Technical Analyst to Program Manager. She is the Managing Director of The Questioning Engineer which runs online and in-house training programmes for water industry professionals.